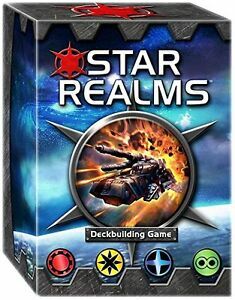 Star Realms is an easy to setup and the instructions are easy to understand. It's a fun deck building game that is cheap ($10-$15) and only takes about 20 minutes to play a game. Out of the box it's a two player game (there are a few single player variants on BoardGameGeek - I've tried one pretty fun and challenging). If you buy more decks you can add more players (haven't tried that yet). If you like deck builders or if you've ever wanted to try one, you should buy Star Realms. Streamlined deckbuilder that plays in 20 minutes. Nice small package for easy storage in my cramped gaming closet. Easy to teach and learn. I love Dominion (the original deckbuilder), but this is so much quicker to set up and play. And the price point of $15 can hardly be beat for such a great game. My only minor complaint is that if you sleeve the cards they will no longer all fit in the box. Solid game, easy to learn, multiple strategies. The only negative is for multiple gameplay you have to buy the base set more than once to get the necessary starting decks. Expansions are easy to incorporate and add more layers to gameplay. 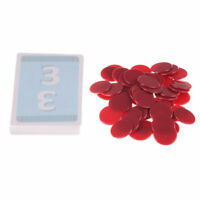 Easy to learn, fast to play and great fun.